I have been so so so busy with work and University. I had a presentation on friday morning and then finished in the afternoon. The last couple of days I have been so sleep deprived it is unreal. Anyway, I am so excited for this post because I have been meaning to do it for so long now but wanted it to be apart of my blogmas this year. 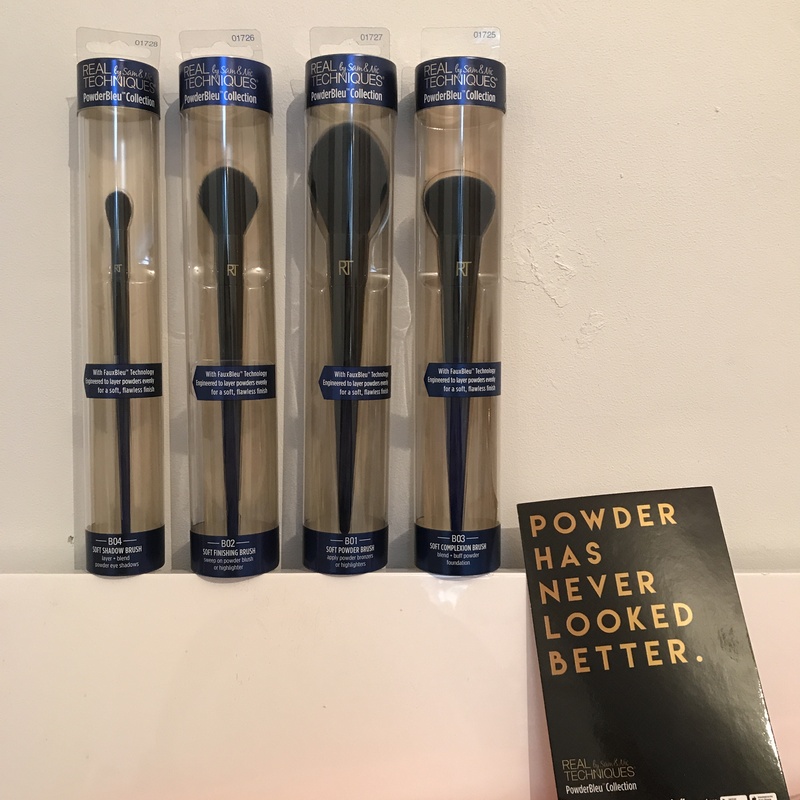 I am reviewing the Real Techniques PowderBleu brushes. Thank you to Influenster for sending me these free brushes to review. You can get any of these brushes from Boots or Superdrug. First of all I want to start of by saying that these brushes are absolutely stunning, you can see that Real Techniques have upped their game once again, even with the box packaging. They are like their Bold Metals Collections brushes, but they are black and blue. I really like the box packaging, it is a circular tube that you pull out from the top and the brush comes out with it. This is such a cool unique way for each brush to be stored, it also makes them look and feel super luxe. I don’t think you can buy the brushes together as a set, they are individually sold. They do also have a Powder Puff and a Kabuki Brush for sale but I got sent these ones. I love how luxe they look and I think the blue and the black go really well together. The brushes themselves go from black and then fade into blue and the bristles on the brushes are dark blue, which I think is stunning. I like that they are really long brushes because you can control what you are doing with them more and I think even one of thesr brushes would be a great present. I was so excited when I saw this brush because I love eyeshadow and out of all of the brushes this is the one I was the most excited about. 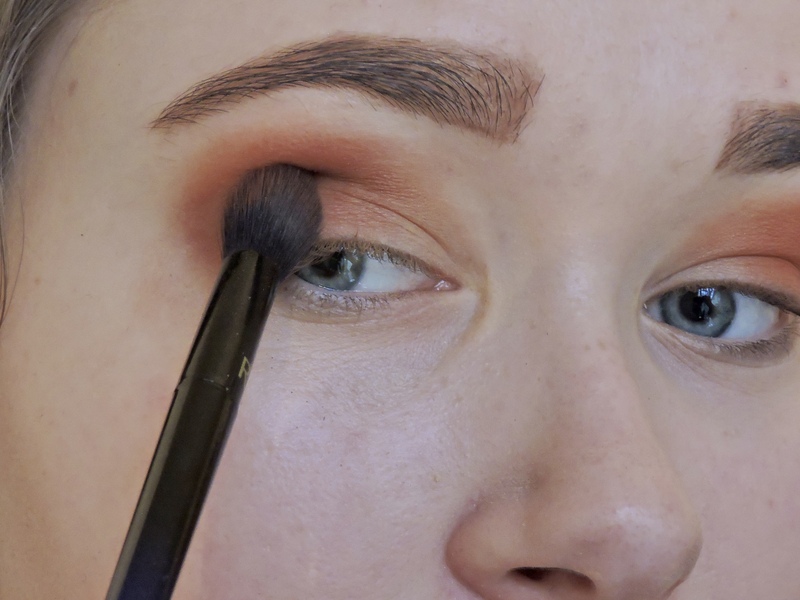 It is a really big eyeshadow brush that is slightly tapered, which is good for putting down your first colour and blending the colours out. 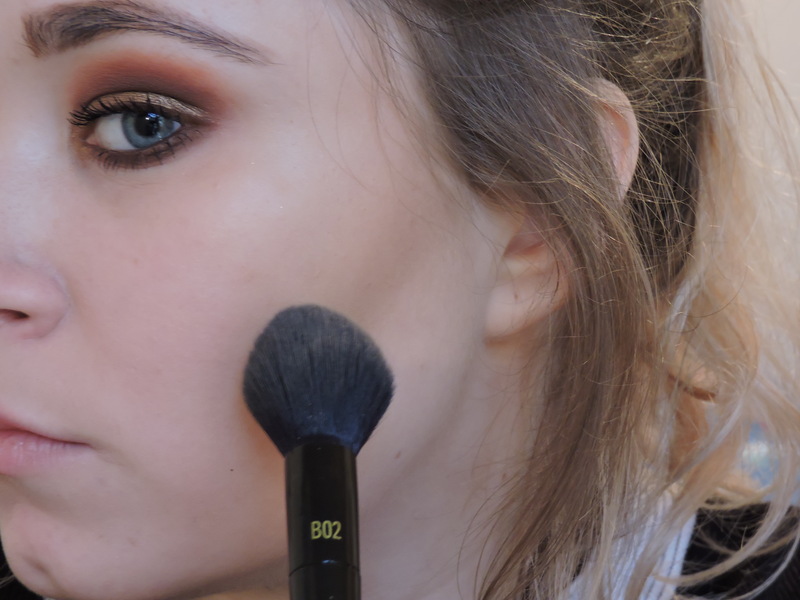 This brush is so big which is one of my favourite things about it because if you are in a rush, you can choose a colour and apply it with one big swipe from this brush and thats it your good to go. This brush picks up so much product which is really good also. Before I start doing my makeup I do have to run the brush over something like a tissue to get rid of the access eyeshadow from the last time I used it. 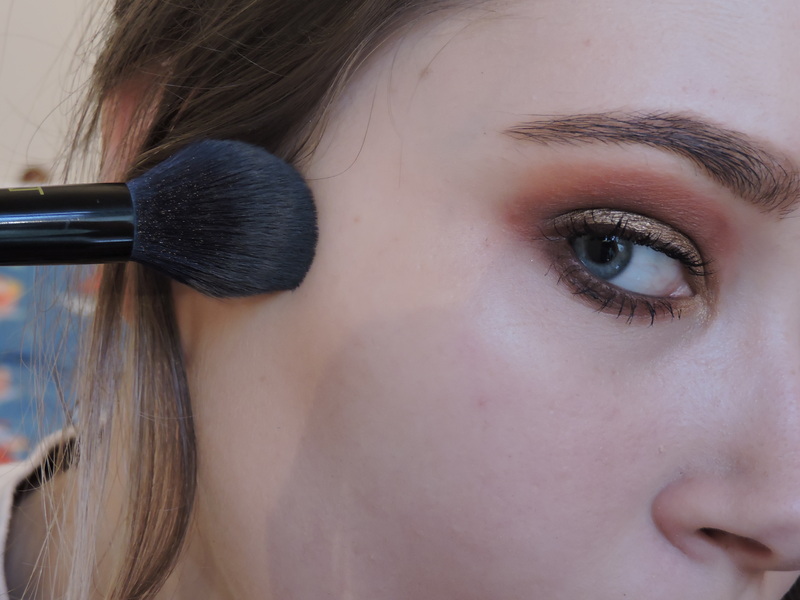 This brush reminds me of their other brush in the Bold Metals collection, the rose gold one. It is tapered and I find this brush so useful for doing my highlighter. It picks up the colour well and I really enjoy using it. It is big and fluffy and I can just quickly apply my highlighter with this. 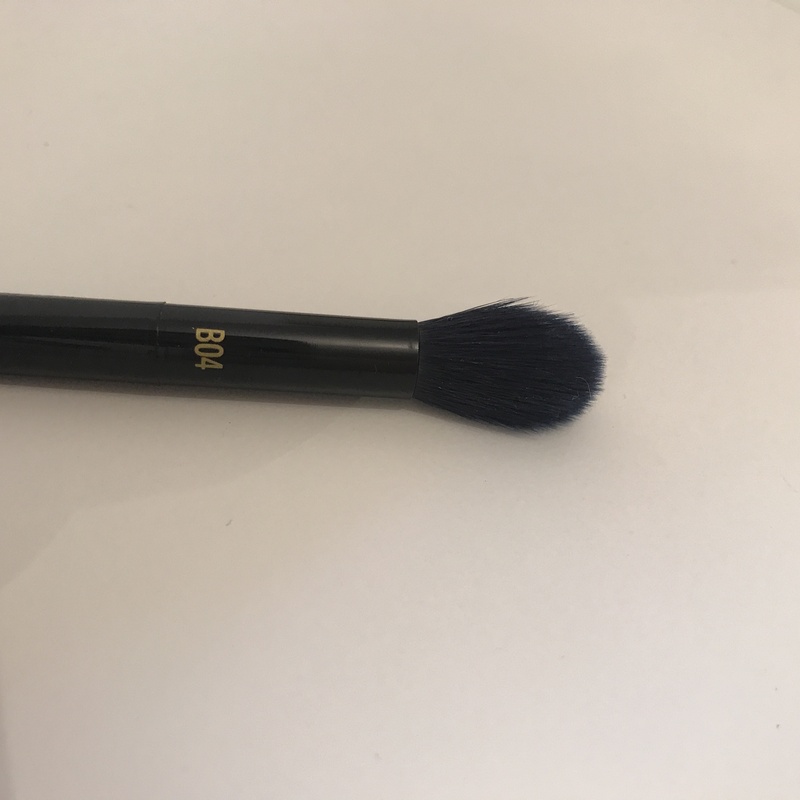 I also sometimes use this brush along with my Spectrum brush for my contour (I do wipe off the highlighter first lol) This is actually a good brush for contour because it gets right into the cheek bones because there is a point to it. Oh my!!! 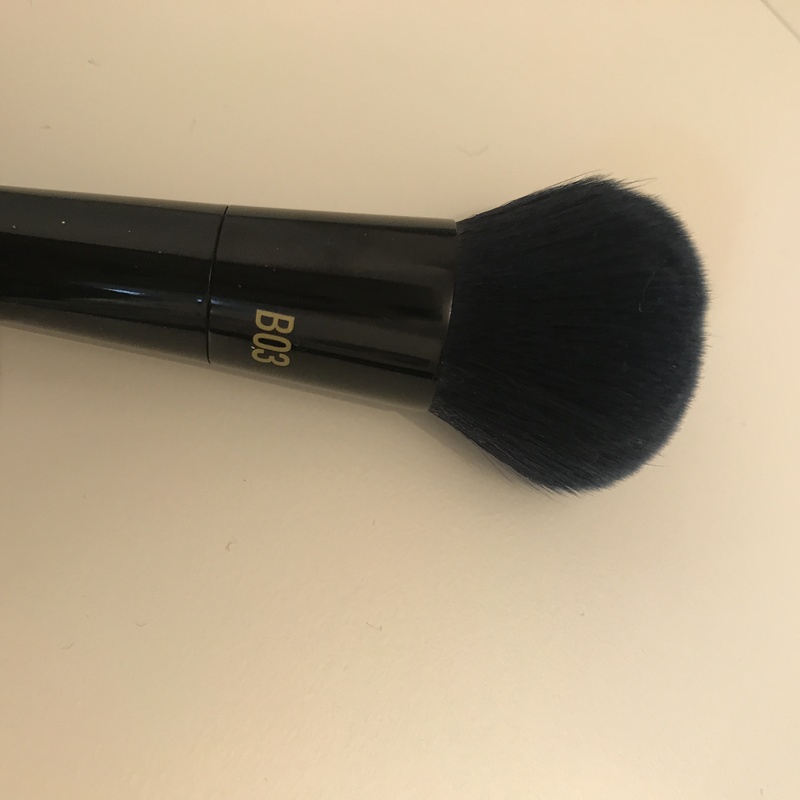 I have been loving using this brush so much for my foundation. 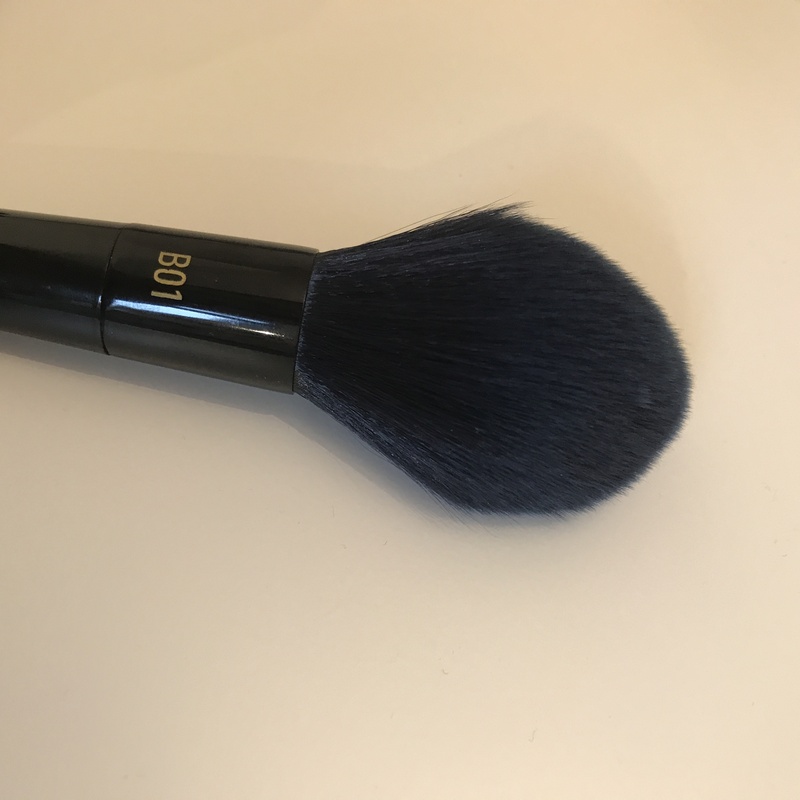 It is a flat dense brush that I find is really good for applying my foundation, I am able to really buff it in to my face and I really enjoy doing my foundation with this brush for that reason. My foundation looks really well applied when really I have just buffed it in with this brush. It picks up alot of foundation but doesnt absorb too much product. It is really dense, but soft at the same time and I can feel that the brush is extremely soft, such a great great brush!!! This is the biggest brush out of them all and it is sooooo soft!! it is so satisfying to put swipe a finger over the bristles because they are so flimsey and just floppy which i like for a powder brush. I use it to powder my face after my base is done to not only add some extra matte but just to help the oily spots on my face. 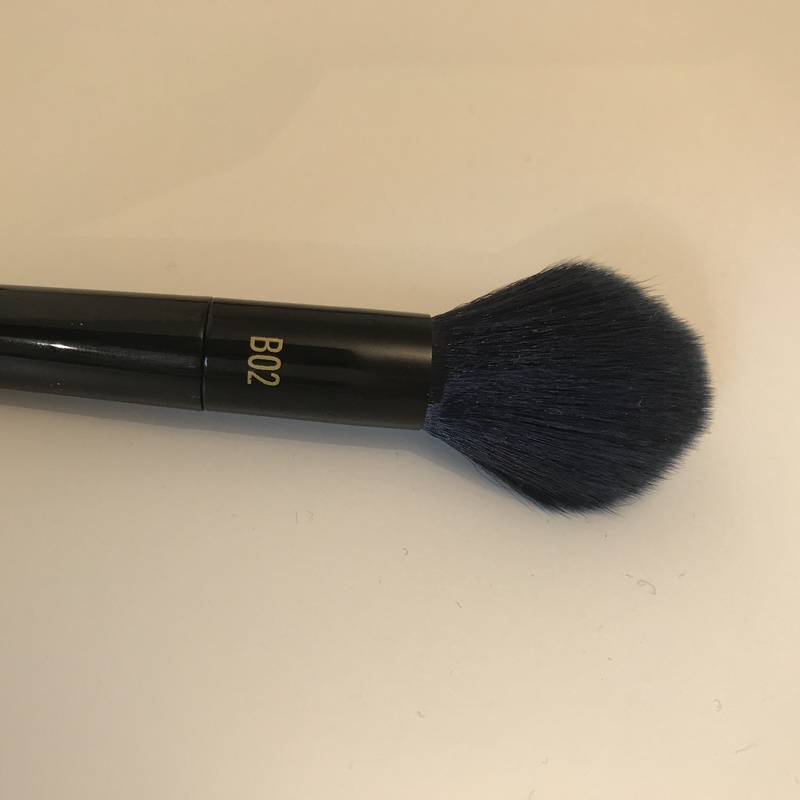 It is slightly tapered again and I like that, when I put the product onto the brush it covers my face well and I don’t need to swirl my brush in the powder too much. This brush picks up a lot of product which is good and it is a good size for a powder brush, not too big but not too small. 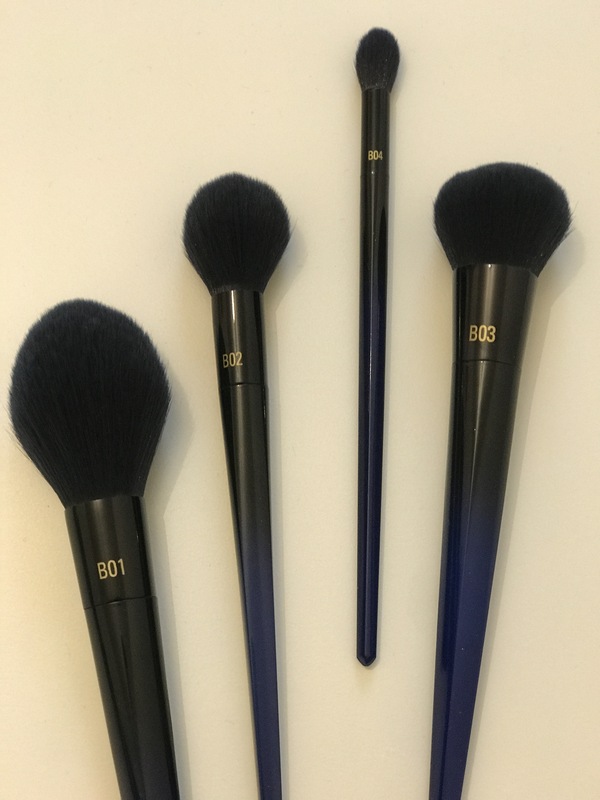 I have been using the brushes now for about 3 weeks since I have had them and I can honestly say that I would have added these to my Christmas list and so I think you should too. I have been such a big lover of Real Techniques for years and years and I always watch Sam and Nic on YouTube, they are great. I would highly recommend these products to either ask for or buy for someone. 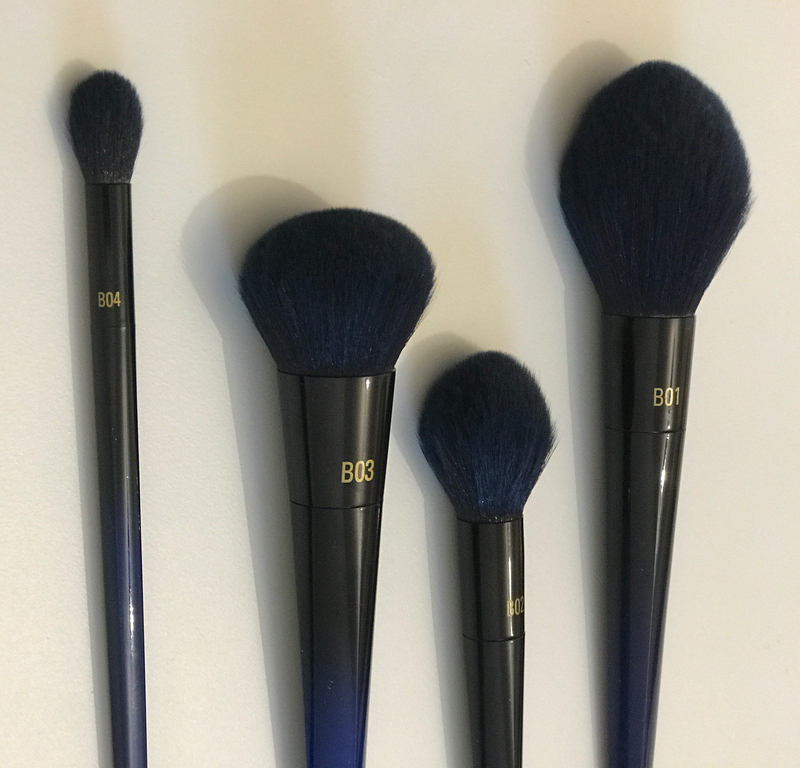 If you know someone who is really in to eyeshadow then buy them B04 or if you know someone who needs a good contour brush then buy them B02. I have been using Real Techniques for such a long time now that I know they are such reliable brushes, therefore I do think they are worth the money. However, I can see why some people think they are expensive because they are the most affordable brushes out there. However, they are such AMAZING quality, I can’t emphasis that enough. They wash amazingly well and they don’t shed at all. Not only are they stunning, but they will also last you for such a long time. You need this brushes on your Christmas list and if you already have these brushes then I would love to know in the comments down below. The blue accent is a gorgeous feature! Maybe now I can grab a few and have them as gift for my makeup loving friends! Thank you for the awesome review! RT may reach in price sometimes but I agree that it’s totally worth it! OMG so helpful thank you for this!!! Thank you and I am glad!